Photos: on upland rocks. Ballingeary area, Co. Cork, SW Ireland. Variable. 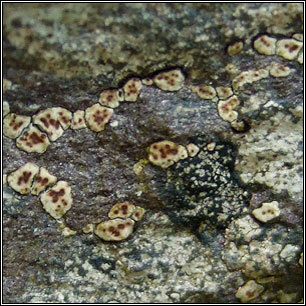 Thallus usually pale creamy brown but yellowish-green on copper-rich rocks. Scattered flat to convex areoles that can form continuous crust. 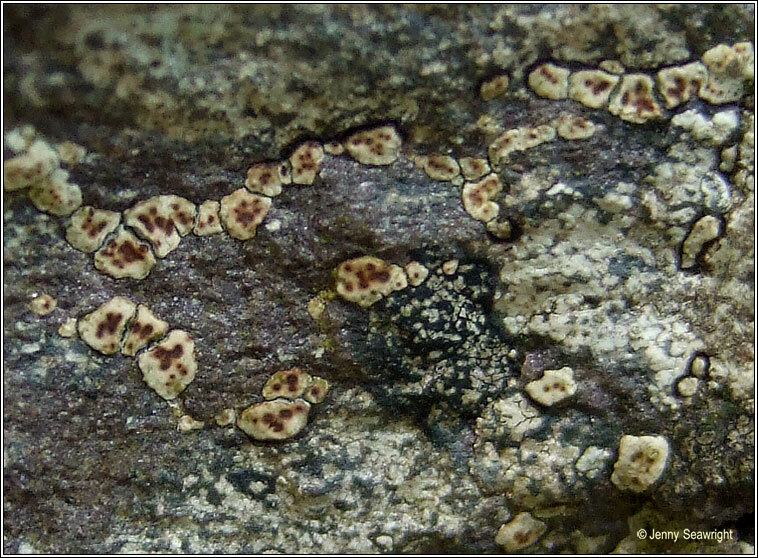 There are usually 3-7 minute apothecia in each areole, red-brown to blackish, margins absent or well developed. 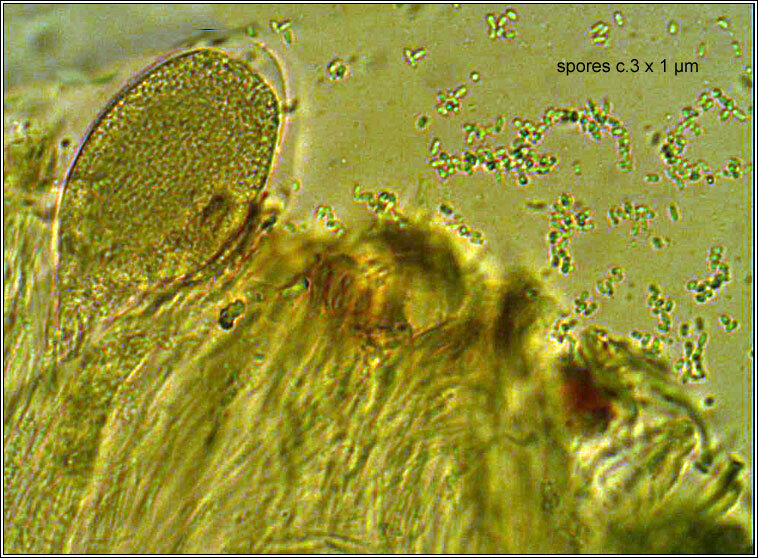 Asci >100-spored, spores 2-5 x 1-2 µm. Micro photo below. 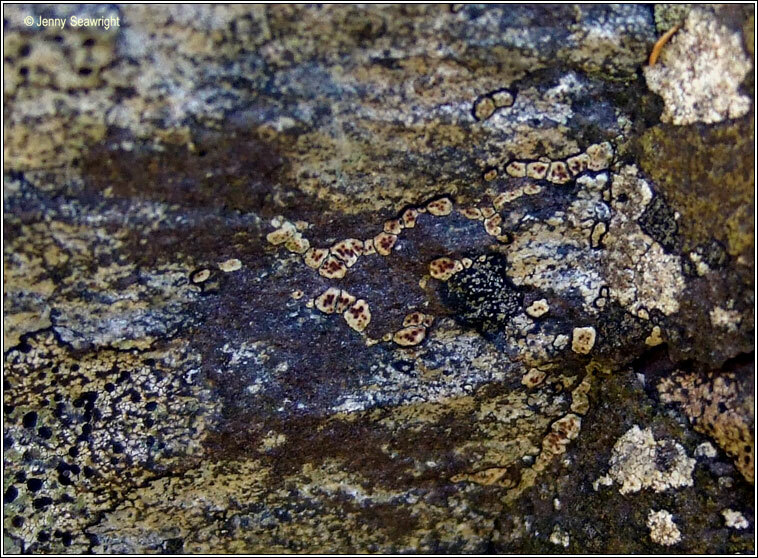 Occurs on sheltered slightly base-rich siliceous rocks, sites rich in heavy metals and on sheltered stones below metal run-off.